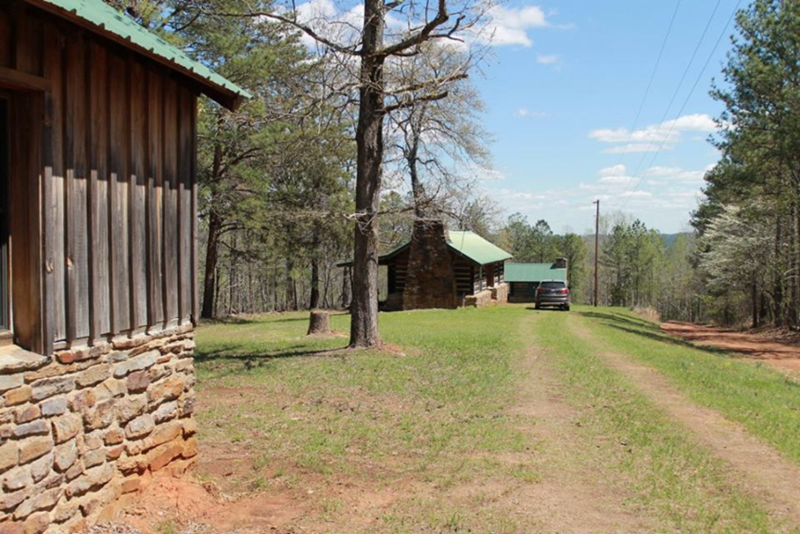 Flagg Mountain is the southernmost Appalachian peak over 1,000 feet, located near Weogufka, Alabama, in Coosa County, and contains a CCC-built lookout tower and cabins. Weogufka State Forest consists of 240 acres of upland hardwood on Flagg Mountain. It is owned by the State of Alabama and Managed by the Alabama Forestry Commission (see map). Currently, there is a full-time caretaker on the property. Weogufka State Forest is open to the public. Overnight camping and social events are available, but reservations must be through the caretaker in advance. Currently there are no bathroom facilities. Efforts are underway to improve the facilities. This includes to reopen the tower stairs, build a bath house, and improve the cabins. The property was acquired mainly from Kaul Lumber Company in the 1930s to build a new state park. After the depression, the federal government created the CCC Program to provide jobs to help rebuild America. Built by the CCC in 1935, the 50’ stone tower is a unique structure. The walls are 2 to 3’ thick. Large timbers were laid in the rock in a crisscross pattern and have been replaced with inlaid stone. 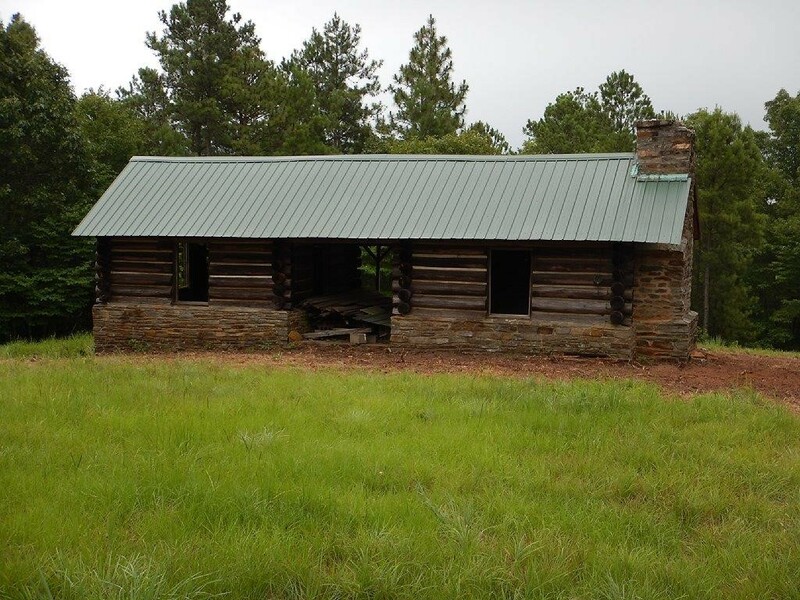 Additionally, ten cabins were built on the mountain by the CCC crew. Listed on the National Historic Tower Site as tower #250, Flagg Mountain Lookout Tower is located on the Weogufka State Forest in Coosa County, Alabama. This tower and Flagg Mountain will hopefully be part of the Appalacian Trail experience. Recently, The Conservation Fund and the Alabama Department of Conservation and Natural Resources purchased land and extended the Pinhotti Trail to Flagg Mountain. Five miles of new trail were opened. One day, it is hoped that Flagg Mountain will be an important stopping point on the trail with overnight primitive camping facilities. The State Forest was recently selected as a stop on the state’s birding trail. Sightseeing, hiking, camping, and bird watching are the main attractions at the state forest. Weogufka State Forest is open to the public for site seeing, bird watching, primitive camping, and social events. Remember; be considerate to other recreational users and their needs. Safety should be your highest priority. Alcoholic beverages, firearms and disorderly conduct are prohibited at Weogufka State Forest. Motocross and ATV riding is prohibited at Weogufka State Forest. Anyone under age 16 must be accompanied and supervised by an adult. All overnight camping in the primitive campgrounds and cabins must make reservations prior to visit. For reservations call the caretaker at the phone number listed below. You will also be required to complete a waiver form. Climbing on to the stairway that leads up into the cab of the fire lookout tower is strictly prohibited. Hunting is not allowed on the Weogufka State Forest property. Horses are not allowed on any of the hiking trails on the Weogufka State Forest property. Items brought in must be carried out, including trash. There are no trash receptacles or trash pickup service available at the Weogufka State Forest. Cutting down live trees for campfires or any other purposes is prohibited. Camp fires and warming fires must be totally extinguished before leaving your camping/cooking area unattended. All rocks guests use to construct fire rings should be removed from the areas that are maintained by mowing. The Alabama Forestry Commission is not responsible for accidents, personal injury or damage/theft of personal property. For additional information or to make reservations call (417) 543-3801. Go to the Friends of Flagg Mountain or the Flagg Mountain Facebook pages for additional information.